Turn those extra Disney Park Guidemaps you have collected into these fun Disney Guidemap Christmas Ornaments. This easy craft project adds a little Disney magic to your Christmas tree. Over the years, I seem to have amassed a very large quantity of Disney Guidemaps. Yes. 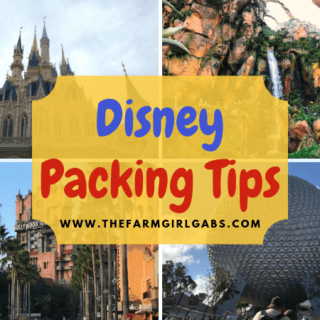 Disney Guidemaps – the ones that you pick up at the entrance at each of the parks. My love for Disney even goes as far as collecting the park guide maps. I recently organized my office and realized I have way too many Disney Park Guidemaps, so I decided to put them to creative use. 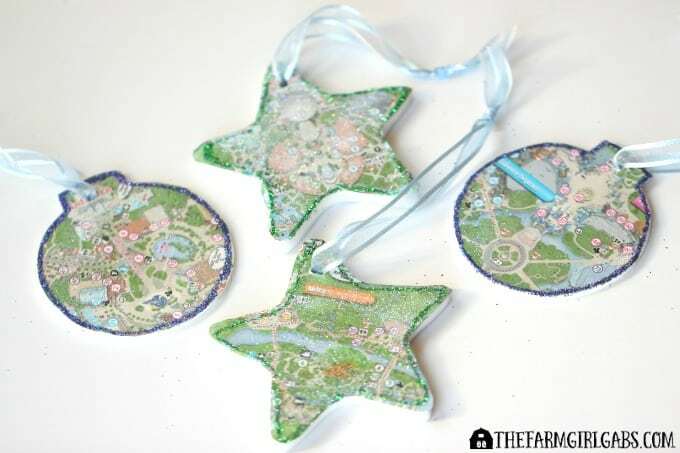 I turned them (or pieces of them) into these fun Disney Guidemap Ornaments. I am not sure why I have accumulated such a large quantity of these guidemaps, but I love to keep them as a souvenir for each trip. They are fun to look at over the years to see how the Disney Parks have evolved. I know, I’m crazy. It’s a piece of paper but for me it is a piece of Disney memorabilia. Begin by tracing the shape of the ornament over a section of the map. I tried to center my favorite attractions on the ornament. Then cut out the shape or shapes. 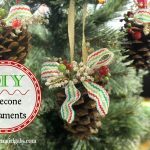 Apply a layer of Mod Podge to the ornament. Place the cut out piece of the guidemap on top. Then apply another thin layer of Mod Podge. Allow to dry completely, then apply another coat of Mod Podge. After you apply the last coat of Mod Podge, sprinkle a thin layer of iridescent fine white glitter over top of the ornament. Once the ornament is dry, outline the edge of the ornament with a fine tip glue pen. Apply a dusting of blue glitter and shake off excess. Allow to dry and then spray with some acrylic sealer. 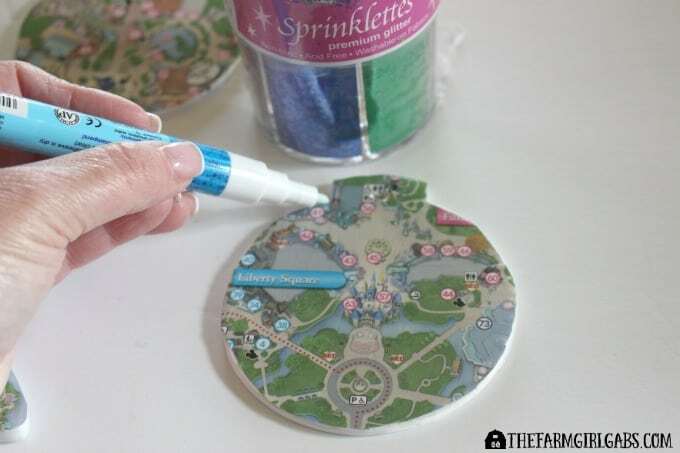 Add some decorative ribbon and these Disney Guidemap Ornaments will look magical hanging on the Christmas tree. Since I had a guidemap from each of the four Walt Disney World Resort parks, I was able to make four ornaments. Here’s some other fun Disney Holiday crafts you can make. 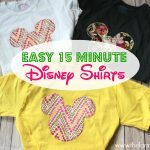 You can also find some fun last-minute gift ideas for the Disney fan in your life here. Have a Merry Magical Christmas! This post contains affiliate links. Please see my disclosure police for details.